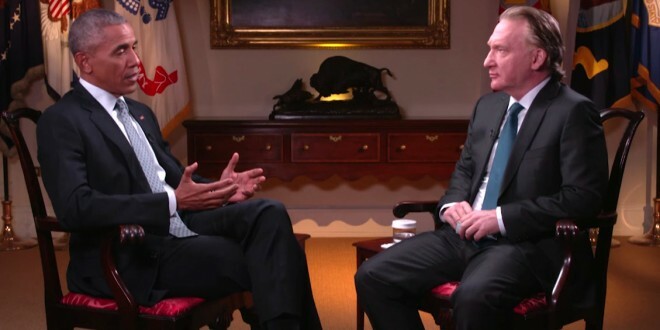 Bill Maher Interviews President Obama On Climate Change, Marijuana, And Immigration Reform [VIDEO] - Joe.My.God. Bill Maher’s months-long on-air campaign to persuade President Barack Obama to appear on his HBO show “Real Time” culminated Friday evening with the airing of the president’s sit-down interview with the left-leaning host. The 40-minute interview was taped Tuesday at the White House in the Roosevelt Room. The interview was wide-ranging, with the pair discussing the election, the popularity of Donald Trump, and issues including Obamacare, immigration reform, the legalization of marijuana and climate change.